There’s a misconception that deeper skin tones are automatically protected from the sun in the summer, but that’s not true. “Dark skin is better protected from the sun, but that protection is not perfect,” says Dr. Michelle Henry, a NYC-based board-certified dermatologist. “Even the deepest, richest skin tone is just SPF 13.” That’s why women with deeper skin tones should stock up on SPF 30 to protect their complexion and avoid sunburns because, “yes, dark skin does burn.” Deeper skin tones are also susceptible to other issues, such as unevenness and acne flares, in addition to sun exposure. With the help of Henry, we’re looking at five ways to keep deeper skin tones happy and healthy this summer. This will help you maintain clean and glowing summer skin without stripping it of its moisture, which can lead to unevenness. We love Mario Badescu Glycolic Foaming Cleanser, which helps reduce minor discoloration and is also formulated with herbal extracts for soothing benefits. Who doesn’t want to have a flawless, glowing complexion in the summer? After all, it’s the time we bare the most skin. Nevertheless, resist the urge to brighten and smooth with the help of chemical peels or laser treatments. 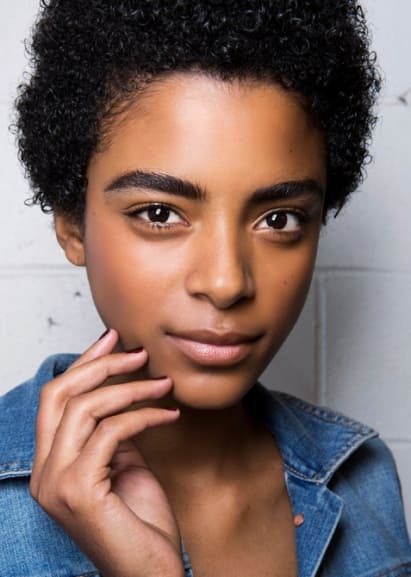 Deeper skin tones are especially prone to hyperpigmentation, and that risk increases a lot when you “mix chemicals, laser and sun exposure on delicate skin,” says Henry. Instead of chemical or laser treatments that can be harsh, use an acidic exfoliator at home once a week. Sunday Riley’s Good Genes All-in-One Lactic Acid Treatment is gentle enough to use even on sensitive skin but still contains enough purified-grade lactic acid to clear your complexion and encourage natural collagen production. Make vitamin C your new best friend this summer — it’s both beautifying and protective, especially for deeper skin tones. “This antioxidant will help maintain an even skin tone and protect against damage caused by pollution encountered during outdoor activities,” says Henry. Make vitamin C work for you this summer by buying a multitasking serum you can use in the morning under moisturizer and makeup or in the evening as part of your nighttime skin care routine. Skinceuticals C E Ferulic with 15 percent L-ascorbic acid is legendary for its firming, plumping and protective qualities. At $166, it’s also famously pricey, so Paula’s Choice C15 Super Booster is an effective yet affordable choice at just $49. “During the summer, excess sweating can deplete the hydration in one’s skin,” says Henry. That’s why your skin care arsenal should feature some hydrating products to avoid issues of blotchiness and coarseness, which many people with deeper skin tones face. Glamglow’s ThirstyMud Hydrating Treatment will quench your skin with the hydration it needs with hyaluronic acid, leaving your skin supple and silky-soft after use. Dr. Jart+ Ceramidin Cream is a great moisturizer that quenches dehydrated skin and supports the skin’s moisture barrier. Deeper skin tones don’t just need a little extra love in the face; dryness and unevenness can extend to other body parts if not taken care of properly. Henry recommends using oil to maintain skin’s suppleness and softness as well as bestowing a luxurious sheen on skin. Body Shop’s Honey Bronze Shimmering Dry Oil has a hydrating yet nongreasy formula with a bit of shimmer to make your legs glisten. It’s filled with skin-conditioning ingredients and contains honey from Ethiopia to banish dryness. Prepare to wow everyone with your beautiful gams.